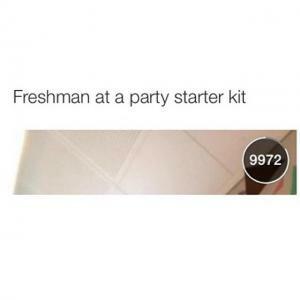 a tip for everyone starting their freshman year of college soon: nobody cares about you. 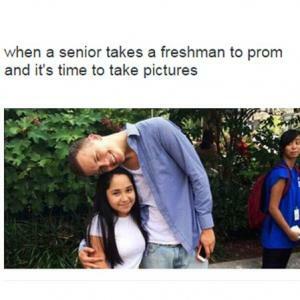 did u just trip in front of a few people? no one gives a . are u lost? don't be afraid to ask a random person. no one cares. 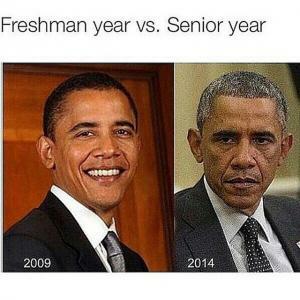 about anything. 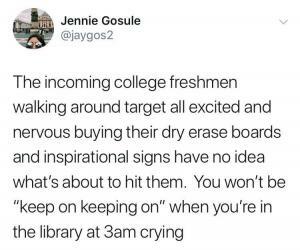 we're all dead here. 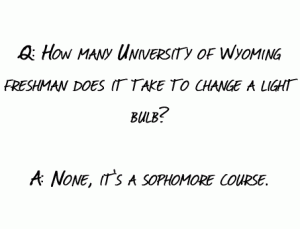 Q: How many University of Wyoming freshman does it take to change a light bulb? 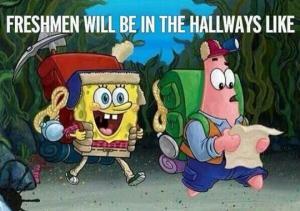 A: None, its a sophomore course. 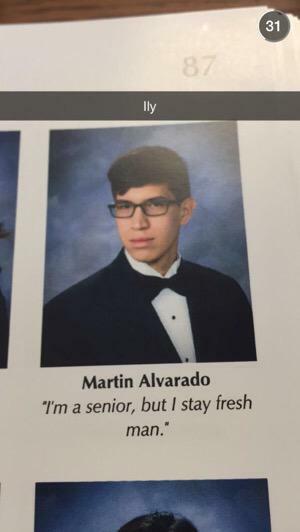 "I'ma senior, but I stay fresh man." 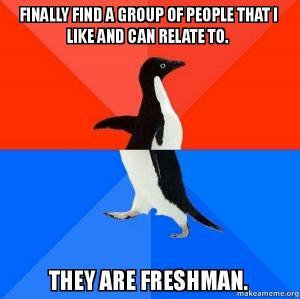 Finally find a group of people that I like and can relate to.